“A strong housing market is becoming a potential source of risk. Mortgage rates are at historic lows and have boosted new mortgage lending to a 10-year high, thus putting upward pressure on prices. Residential housing offer prices increased by 10 percent y-o-y in 2015:Q4, despite a 16 percent increase in housing starts. 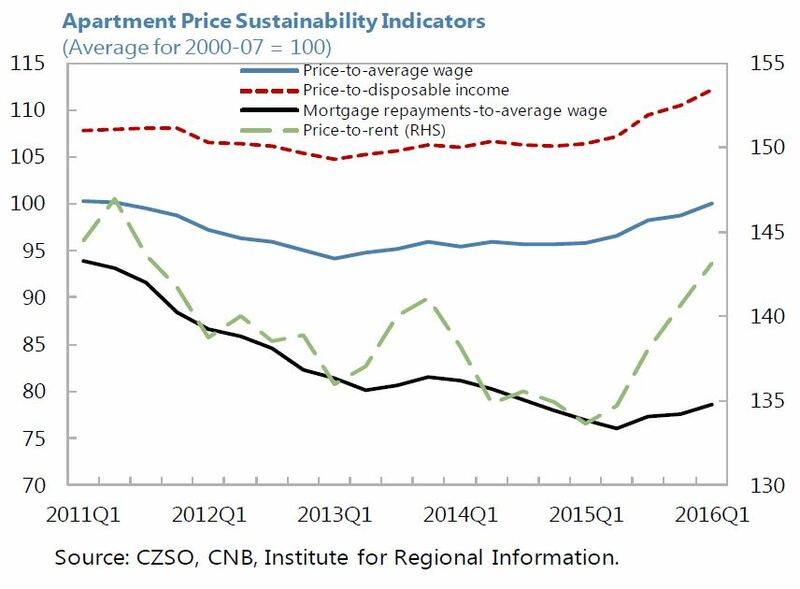 A slight deterioration in the affordability-of-housing indicators has taken place recently despite strong wage growth and a continued decline in interest rates. On the other hand, the estimated average apartment price-to-annual wage ratio of 4 is still low by international standards. (…) Going forward, continued vigilance will be needed and, if current trends in the mortgages segment continue in the coming months, the macroprudential stance should be further tightened. 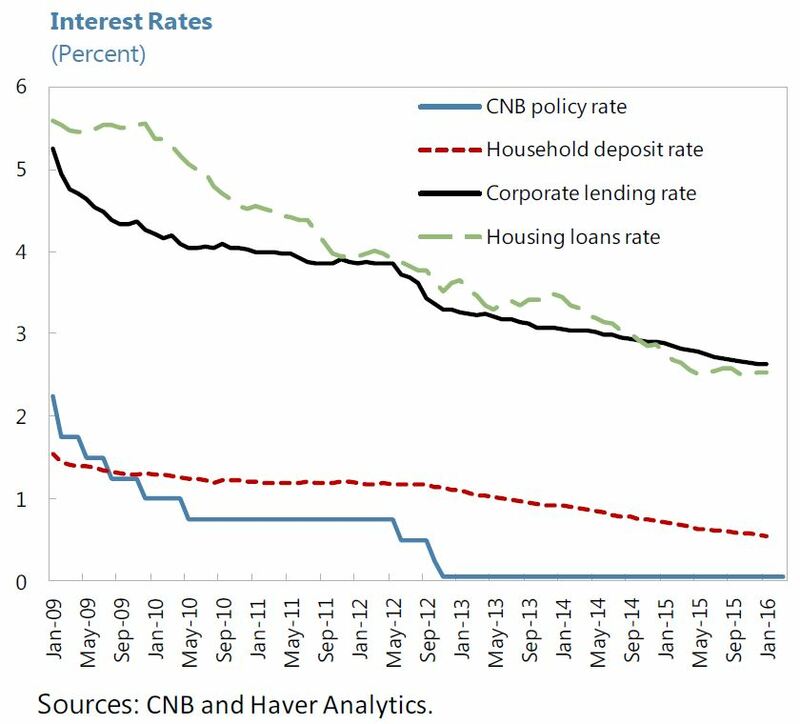 Preference should given to targeted measures, including raising risk weights on mortgages, lowering LTV limits with possible regional differentiation, and issuing clear guidance on maximum debt-to income limits”, says IMF’s report on Czech Republic.